How do I cook and prepare Lobster? We can supply your lobster ‘live’, ‘cooked’ or ‘cooked, split and cleaned’ for the ultimate in convenience. Follow Chef Adam’s easy guide on how to prepare cooked lobster, making the most of every ounce of succulent meat from the shell and claws! The rule of thumb with lobsters is to keep your preparation as simple as possible to allow the natural flavours to come through. We humanely dispatch lobsters with our very own ‘crustastun’ and will expertly prepare lobster to suit you. Lobster is luxurious, delicious and the perfect food for a special occasion. Lobster has a sweeter, less ‘fishy’ taste than crab, but has a flavour which is rich and satisfying. Thanks to the high amount of muscle in lobster tails, it is meaty and quite simply… stunning! The most traditional and common way to cook lobster is with butter, which makes it melt-in-the-mouth and enhances the taste so it’s even better. We all know lobster isn’t the cheapest to buy but the price depends on how big the lobster harvests of the season were and how much people are prepared to pay for it. The good news is, there are ways to make lobster more affordable. Enjoy lobster at home (instead of in restaurants) and buy it in season – Summer into early Autumn.  As supporters of the National Lobster Hatchery’s ‘Buy One, Set One Free’ Program, we take a proactive approach to sustainability and environmental issues. In an aim to expand consumer knowledge, we even appeared on Channel 4’s ‘Food Unwrapped’ program giving viewers an understanding of how the Lobster industry operates! We source our lobsters from small inshore day boats that fish the clear blue waters of the Cornish coast - boats like The Helen Clare of Port Isaac and The Three Jays of Newquay. We are proud that we never have, and never will, import cheaper and inferior quality lobsters, and they’re a ‘recommended’ species by Cornwall Good Seafood Guide. Are Lobsters healthy and good for you? An excellent source of Omega 3 oils and essential vitamins and minerals, not only is lobster incredibly tasty, it’s super healthy too. High in protein and low in fat, it’s an excellent source of lean protein to nourish your bones and support skeletal health. It is important to remember that lobster is high in sodium and cholesterol so don’t forget, everything in moderation, especially if you have cardiovascular issues or high blood pressure. Lobster can be boiled, grilled, steamed, baked, barbecued and fried – with all methods changing the taste and texture of this incredible seafood. However you enjoy it, give our two favourite lobster recipes a go – you’re guaranteed to want an extra portion! Ever wondered what Lobster Bisque is? A rich and velvety labour of love, bisque is a creamy soup made with lobster, packing an intense and deeply rich flavour. Here’s Chef Adam’s recipe if you’re prepared to make it from scratch or take the easy option and let him do it for you! The only thing that might improve our sweet and rich lobsters, is Chef Adam's luxurious, restaurant-standard Thermidor Sauce! It works brilliantly poured over our cooked, split and cleaned lobster, giving you a luxurious restaurant-standard dish to die for. It also works amazingly with any shellfish and fish as a special treat. Here’s Chef Adam showing you how to make a mind-blowing Lobster Thermidor! Perhaps as important as the lobster itself, what do you drink with it!? We always recommend a white wine, one which can handle the tastes and textures of lobster in a variety of different recipes. Our top pick would be a Chardonnay, followed by Pinot Grigio and Champagne. Most importantly, choose a wine you enjoy! We hope we’ve inspired you to try our Cornish Lobster – we’re really proud of the provenance and quality of what we offer here at Fish for Thought. We are especially proud to be able to say that we have never (and never will!) offer imported lobsters. Enjoy #ASummerOfSeafood with sustainably sourced Cornish lobsters delivered to your door by the UK's original online fishmonger, available for next day UK delivery! Click here to shop Lobster!  Sustainable practices reach every corner of Fish for Thought and last year, we achieved something remarkable; becoming the first and only Online Seafood Business to deliver in fully-recyclable packaging!